The new year means a fresh start and a clean slate! Although it is just another day, to many it means you can set new goals and strive to accomplish them. For couples, this can mean budgeting, spending more time together, and altogether setting new goals that affect the both of you as a team. Having a partner to set your New Year’s resolutions with means more accountability and somebody to do them with, which is always more fun! No relationship is perfect and with a new season coming around, it is always a good idea to sit down together and reevaluate your goals and what you’re working towards. If you’re not sure where to start or what goals to go after, they can be as simple or harder to reach as you want. 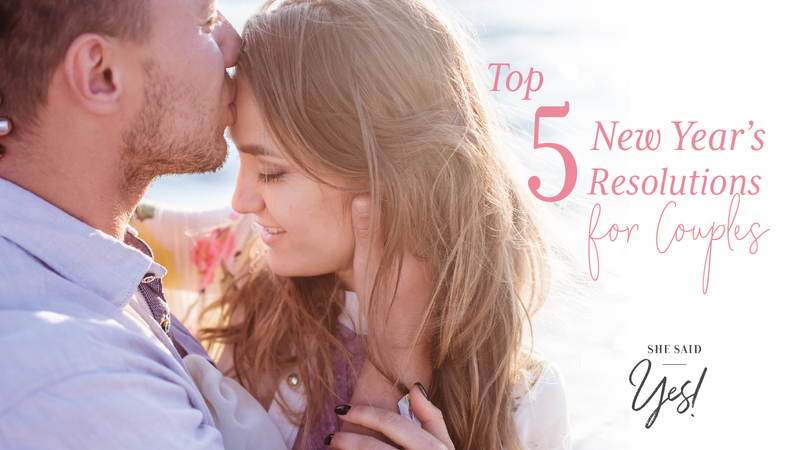 We’re sharing our top 5 New Year’s resolutions that I think you and your special someone will enjoy! Spending time together is so important especially in today’s day and age. We are so busy working and on our phones that quality time can sometimes be left to the side. We don’t mean laying next to each other in bed on your phones, we mean actually going on a date or checking out a museum. It can mean more dates, more volunteering, more outdoor activities, etc. It really is up to you and your partner to choose what it is that the both of you enjoy doing together. Enjoying each other’s time will bring less stress, it will let you vent, allow you to enjoy yourself from a hard week of working, and ultimately it will bring the both of you closer together. 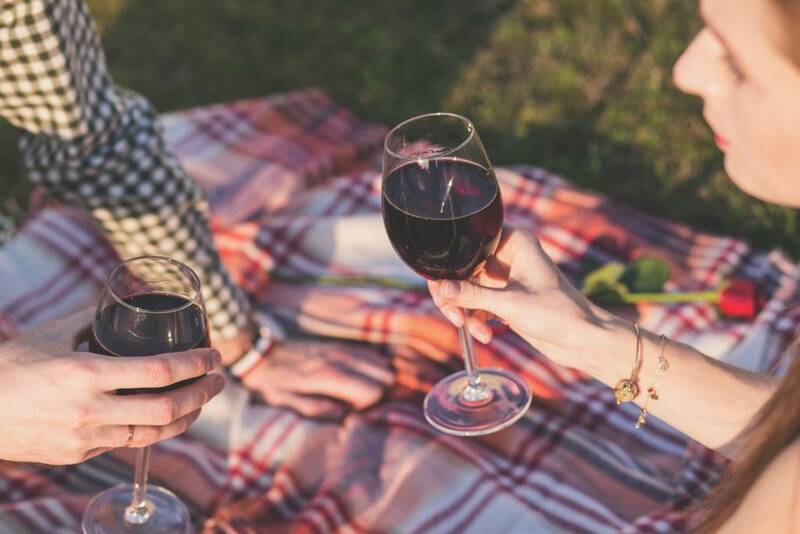 Even if you do utilize Friday night date night, maybe try to set up a spontaneous picnic at the park on a Sunday or do that hike together that you’ve been putting off. It is important to enjoy the little things with your partner even when it’s not expected! Working out is always more fun when you have someone to do it with especially your partner. This doesn’t mean you have to pick up the weights and run on the treadmill. 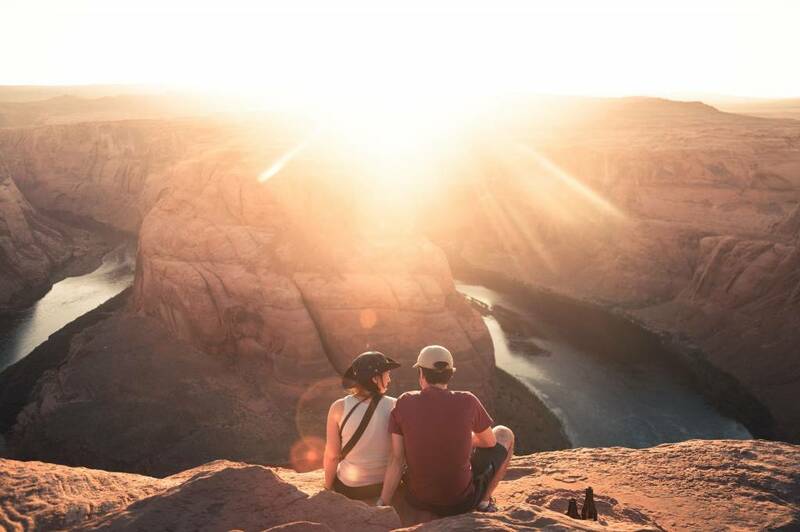 You can take a fun hike through your favorite trail, try out a bike trail that you’ve never attempted before, and if you’re into traveling, you can take on a European vacation and get your steps in around the louvre. This can be totally customizable to your interests and those of your partner. Working out together can be inspiring, motivational and keep you energized and ready to take on your other goals as well! This goes hand in hand with spending quality time together so you’re knocking out two resolutions in one. Start the new year fresh and stop focusing on the little things. Understand that you and your partner are different and you might not agree on everything, but it isn’t worth fighting over. Communication is key in a healthy relationship and expressing how you feel in a more casual way can eliminate those little fights about leaving your shoes everywhere or talking throughout your partner’s favorite program. Bickering over the little details isn’t worth it in the end because it can begin to break down the relationship instead of building each other up. Try to breathe when your partner does something you don’t like and try to respond in a way that won’t cause a larger argument. Of course, if it is something you can’t deal with – bring it up, but try to be calm and collected as to avoid escalating the situation. Try to spend your quality time enjoying each other instead of nit picking the small details. Our new year’s resolutions definitely follow the love language: quality time. For #4, we’re covering the number one quality time killer: the smartphone. 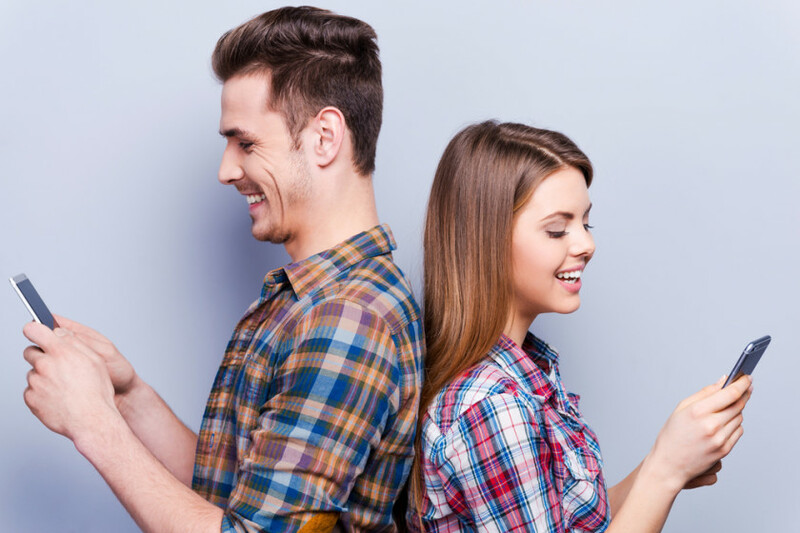 Although your phone can be great for chatting with your partner when you’re not with them or posting fun pictures of your vacation on social media, using the phone during your date night or while you’re watching your favorite program together, can cause a definite rift. Try to make it fun so it doesn’t end up in an argument like set aside time to spend time together without the phone or put your phones in the middle of the table during dinner to focus on each other. This doesn’t have to be all the time as you will find time where you will be on your phone around your partner, but try to set some time aside where you aren’t. Talk about your days, watch your favorite program together, go on date night and enjoy each other without the need to check Instagram or post to Facebook. Budgeting is a great idea at any time of the year. 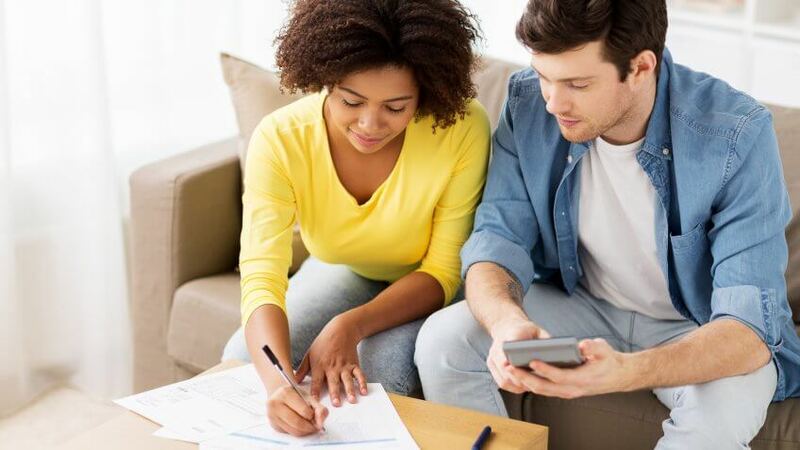 Especially for couples because if the relationship becomes serious, you will be thinking about a new home or moving in together or even buying a pet. All of these things come with saving money. Taking a bigger step in the relationship will be easier if you have some extra funds to help you out. Try budgeting the amount of times you go out to eat by cooking at home. Make it a date night and cook dinner together to make it more fun. Host a wine night at your house instead of going out to the wine bar – bring your own wine for all your guests. These are some things you can do that will still let you guys have date night and spend time together without spending a lot of money. Many cities have free museums or volunteering that you guys can participate in that’ll keep your wallets closed and your bank accounts happy. Browse our collection of engagement rings at sylviecollection.com! To receive more information on finding the perfect diamond engagement ring, subscribe to our newsletter, or find a retailer near you using the Sylvie Collection store locator.